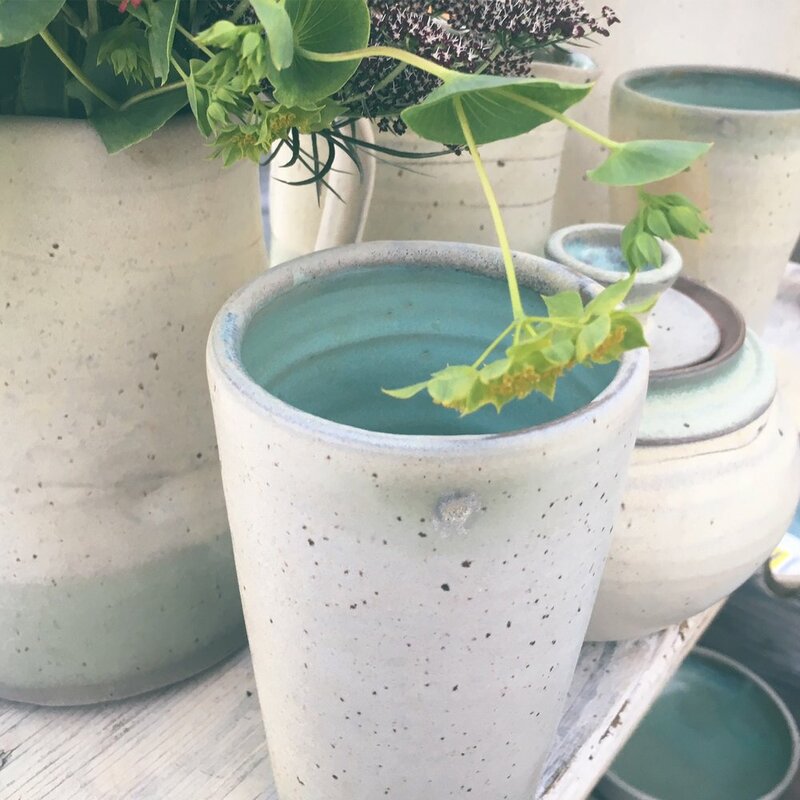 Eryn Prospero, of Prospero Pottery, is joining us for her first ever Bison and we are so happy to have her vending with us! Eryn makes utilitarian pottery for everyday use in the busy kitchen. Mainly on the wheel, she creates timeless pieces that will quickly become the favourite in your cupboard. You can keep up with Eryn's progress on instagram (@erynprosperopottery) and do yourself a favour and read on down below to see what inspires Eryn to create! ERYN: I love handmade things, and creating value is very important to me. I love making pottery that brings people joy in their everyday lives. Be it their favourite mug for coffee or simply a bowl they go to everyday. Designing simple shapes that are durable and comfortable is important to me!! ERYN: Im always thinking of how to improve my efficiency and try to create more pieces every year. I always try to find a new interesting shape or glaze to add into my line of work. Its quite the process, but worth it...Freshness for spring!! ERYN: I would like to show my work in more places and create a name for my self by showcasing my work at new shows. I'm excited to be apart of the Bison this spring. Bringing pottery to the people one show at a time. ERYN: There are so many makers and fellow art peers that inspire me. Kalika Bowlby and Kat Cadegan are two woman that inspire me. With their hard work and excellent business sense. Q: What does it mean to be an Alberta maker/designer/artist? JFJ: The creative arts scene in Alberta is very vibrant, and I am lucky to have met many of my closest friends at markets or art events. JFJ: Nature, historical jewelry, and the paranormal. Head on over to www.jenneafrischke.com to check out Jennea's full shop! You will NOT regret it. We're telling ya... She makes really great stuff!